On Sir Arthur Conan Doyle's 155th birthday we would like to present you a story and we launch a game. 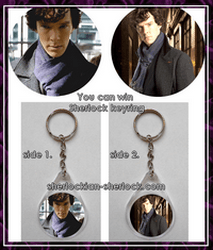 When you read the story and answer a question correctly, you can win Sherlock (Benedict Cumberbatch) keyrings. We select ten persons by a draw and announce the winners on the 8th of June 2014. Please note that both the author of the story and the translator are familiar only with the dubbed version of the BBC series so there may be small inaccuracies in the text. We like classical adaptations the most. We truly respect Sir Arthur Conan Doyle. He wrote the Canon, and everything else is fanfiction. I heard my friend's agonizing voice in the phone. ’Wait, wait, I'll be there soon...Give me some time, Sherlock....Just a little time, please....We talk things over...And you know what? I have an idea....you do not have to die...Everything will be fine,’ told I lie after lie while I rushed out of my consulting room. ’Yes, I believe in John Watson,’ he told quietly after a little silence. I hurried as much as I could. Entering the Baker Street flat I stumbled upon the horrified Mrs. Hudson and there was an incredible mess in the house. ’He is very strange. I don't know what’s the problem with him....I fear the worst,’ said she and we both run up the stairs. Newspapers were scattered all the way. I slipped on one of them and fell, while I saw a black-and white photo for a moment. Mrs. Hudson kindly helped me up to my feet, when suddenly we heard the Ode to Joy from Beethoven’s Ninth Symphony. He likes classical music....and at last he doesn’t listen to Symphony No. 5....maybe there is hope....maybe he tamed down....There must be hope. Dear God, he must stay alive....I cannot loose him, not this way, by his own hands - I thought. 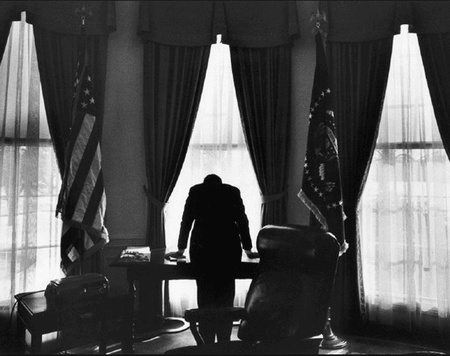 When I entered the room, he leaned above his desk, wearing a suit, as usual. ’Goodbye, Mycroft,’ he said and put down his cellphone. ’You stand in the way not merely of an individual, but of a mighty organization, the full extent of which you, with all your cleverness, have been unable to realize. You must stand clear, Mr. Holmes, or be trodden under foot,’ (Original Conan Doyle quote) told Mrs. Hudson startled. Sherlock turned towards us with a serious face and came closer. ’You really don't understand it, John, do you? Are you stupid? Mrs. Hudson is right,’ roared he, ’Jim can kill me, he can hire someone for the job, or he simply gets so much on my nerves at last that I commit suicide. One thing is sure: no matter which one happens, he wins. What Jim is playing with me is a multiplayer game, but all games last till there is a partner left to play with. I am a fly in his cobweb. And he is running me close,’ he grabbed my hand and pinched it, ’He dominates me and does not let me go. He torments me, it’s like dying,’ His grip became tighter and tighter. I wanted to ask him to let me go, but he continued, ’But I won’t be his playmate any more. I will be the faster. With my death I deprive him of his partner, I am not his puppet. He won, but I am the one who ends the game. It is not a huge merit, but that’s all what is left for me…It’s over!’ Suddenly there was a gun in his hand and he put the barrel into his mouth. I had no time to free my hand and knock it out of his, I heard the enormous bang and Mrs. Hudson pulled me away. I saw Sherlock lying on the floor, the blood flowing from his head and then I hustled out a screaming Mrs. Hudson of the room. ’I did not expect this....The carpet, my beautiful, large living room carpet,’ she said, battling for air in my arms at the corridor. ’I just can't believe it! He is dead and you worry about the carpet? How can you be so....or,’ I let her go and angrily run back into the room. ’If he is dead, I don't want to live either, Mrs. Hudson. Maybe there's another bullet in the gun,’ I put it into my mouth, pulled the trigger.....And nothing happened. I only heard the little click of a plastic revolver. Evidently I could not have heard it earlier because of the bigger noise. ’You are wise, Sherlock, very wise,’ I flopped down on the ground besides him. ’Well, it is a wrong day to die, isn't it?’ asked he. He nodded. ’What one man can invent another can discover.’ (Original Conan Doyle quote) Sherlock stood up and reached out his hand to Mrs. Hudson. ’I don’t know,’ moaned I, while he began to sing the Ode to Joy. He took off his suit. There was a transparent plastic sachet on his back, it contained the brown paint. A small tube led from it to Sherlock’s head and the tube was hidden by his hair. I removed the plasters and the other parts. Then I looked at the huge brown stain on the carpet. He began to rub his head with a towel. ’I have to wash my hair,’ he grunted. I did not mind the dirt on my hands. I sat down. He put down the skull and looked at me. It may be surprising for some of you that God is mentioned in the song, but Sherlock Holmes believed in Him. He sighed. I felt it is still hard for him to talk about how Moriarty confused him. ’Indeed. That huge amount of theories….Extreme ones, funny ones…Though this be madness, yet there is method in it. Well,’ smiled he, ’Some extreme theories originated from me, I sent them around online. It was a huge fun, they made Mycroft tear his hair…Did you notice that he has less hair than before? He owes it to me,’ told he proudly. ’I haven’t said that either…You are focusing on yourself again. ’Before God we are equally wise – and equally foolish,’ he quoted Albert Einstein. I was so grateful for his cordial words. ’We will see,’ said he and his face became sullen. ’Our brain can filter out some stimuli because they appear again and again and it gets used to them. Bringing back old, familiar games is a mean trick. It is built up to the prospective reaction of decreasing attention, because I do not expect the same old tricks again, I feel there is no danger and I make a mistake…I have to be very careful. Even the best players can err, or the participants get tired of the game when it does not end…Boredom can make me careless, while it may urge Jim to end the game aggressively….Real death is a highly possible option,’ he thrilled. ’I know and I am grateful for that,’ told he and went into the bathroom. Since then I was thinking a lot on Sherlock’s words, but unfortunately he did not tell more about the events. Now I share with you my findings. 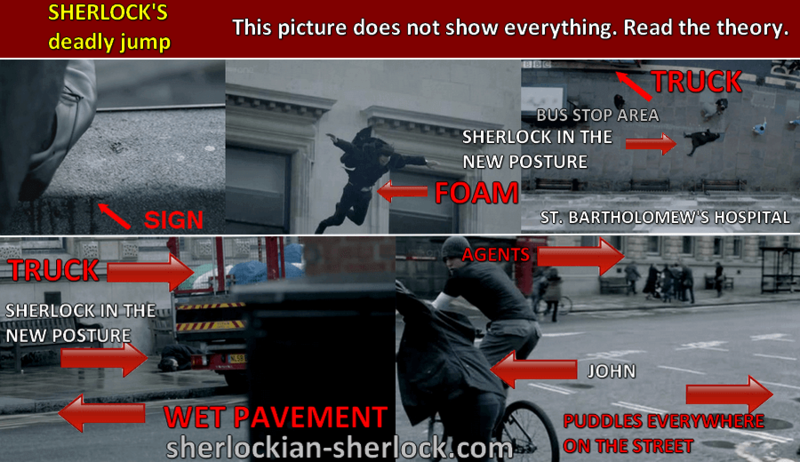 I already realized that on that terrible day Mycroft Holmes was nowhere near to St. Bartholomew’s Hospital. Most likely he did his usual tasks with his tipical self-control to not to make a stir. He sent his best people to the hospital from the secret service and from the IPOD CLUB (Intellectual Parasites Of Diogenes Club). I know that before Sherlock called Jim to the roof the Holmes brothers already arranged everything and the mechanism was started….Yes, this is a great game between three brilliant minds: Sherlock, Jim and Mycroft. I also know that each of them will use me for their own purposes in the game. Maybe Moriarty kidnaps me and makes me wear a bomb. 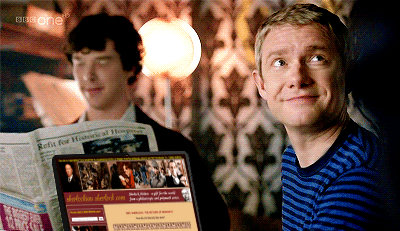 The Holmes brothers observe my reactions in different situations. This is a crazy and dangerous game, but it still excites me. Beacuse walking with Sherlock Holmes is like walking on a battlefield. I live, because I try hard to stay alive and there are people who take care of me. I like the thrill of battle. Yet to my mind it is a much greater thrill that such an extraordinary man like Sherlock Holmes gifted me with his friendship. He accepts me as I am. He trusts me and spends a lot of time with me. With him learning is an enjoyable game. Bombs, criminals, dangers don’t matter. What matters is that there is someone who is the part of your life, who is able to change the world. And Sherlock Holmes is such a person….He knows that this planet is his home, and he has an effect to the world. He is not yet such a sophisticated gentleman like his brother, but he can improve. I strongly hope that Sherlock won’t kill anybody again. The days that we spend together make us both better persons. There was a time when I lost control over my life and the only reason for my survival was that I was afraid….I was afraid both to die and to keep on living…I thought I was a loser, but it was not true. Sherlock knows very well that when we observe things, when we dare to deduce, we can better understand what happens around us and why. This way we create the chance of being winners. Our days will be more comfortable, and we feel at home in the world. Now I love to wake up each morning, and I am looking forward to the gifts of every new day. Using my brain is my task. I’m thinking about a lot how to make the life of Mary and our baby better. My wife’s every smile makes me happy. I am a married man, time passes but I am never bored. I learned that thoughts are useful remedies for boredom and routine. I often contemplate on Mary. Every day I discover some new cute characteristic in her what makes me love her even more. I even look at my patients differently. I know that they are also important. They have their dreams, emotions, problems and fantastic thoughts. Each of them is a Sherlock Holmes who is able to change the world and who is important for others. Unfortunately some of them cannot believe it yet…They think they are losers but it is not true. There is need for them too. Each day they have the chance to learn to live life as an adventure, not just endure day after day. I have already learnt it, so they can follow my example. We can improve together, because we are all participants in a wonderful game called Life. A new life arrives soon to my and Mary’s home. I will never tell my child that there is no hope or that the world is a cruel and unfair place and we can do nothing to change it. I will always encourage my child to be brave enough to observe the events and to consider what can be done to make the world a better place. I will encourage my child to dare to play just like Sherlock Holmes. No one has to believe that he/she is a victim of life, because when you see the world as your home, it becomes a beautiful place, better than anything that movies, dreams or virtuality may create. 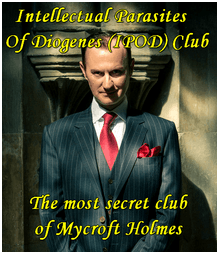 You may be a genius like Mycroft, a brilliant mind like Sherlock or a beginner on the long way of rational thinking like me – there is a need for all kinds of people. And the game is afoot every day. I learned a lot from my dear extraordinary friend, and I believe in Sherlock Holmes. If you like this story, please recommend it on Facebook, Twitter, email or Tumblr. Celebrating Sir Arthur Conan Doyle's 155th birthday the Moriarty theory contained several original quotes from the Canon. 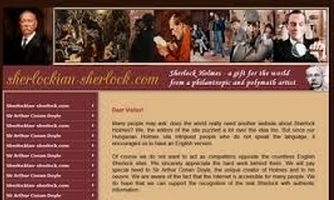 The question is: Which Conan Doyle quote appears twice in the text?